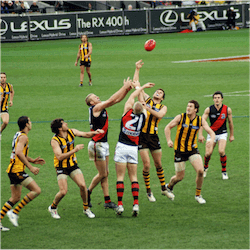 Thousands on New Zealand sports betting fans are enjoying online action in the Australian Football League pre-season, eagerly awaiting the start of the AFL 2017 Toyota Premiership on March 23. The new Watch AFL app allows Aussie Rules footie fans anywhere outside Australia to enjoy the matches via live streaming, with pause and rewind capabilities. The service will require subscription from the start of the season proper on March 23. For the AFL Women’s Competition and the men’s JLT Community Series pre-season tournament currently running, however, punters can try out the app without charge. The naysayers have been proven wrong in the AFL Women’s Competition debut season; going into Round 4, women’s footie continues to attract both impressive gates and large TV audiences. The Brisbane Lions and Adelaide Crows continued their unbeaten record in Round 3, so both are early favourites to make the Grand Final on March 25. Melbourne and Carlton are both 2-1 up after three matches, with the Western Bulldogs behind them on one win and two losses. 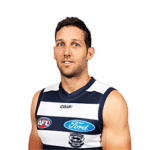 Whoever wins this Saturday’s Melbourne/Carlton clash at Casey Fields therefore stands a better chance of making the semis, while the Western Bulldogs can stay in contention with a win against Collingwood. The Magpies are at the bottom of the women’s ladder after three successive losses. The AFL has introduced a few amendments to the Laws/Interpretations of Aussie for the AFL 2017 Toyota Premiership. The changes are being tried out on the JLT Community Series that began last Thursday, so that umpires and players will be fully acquainted with them by March 25. The Greater Western Sydney Giants are early favourites in the betting for the AFL 2017 Toyota Premiership, and their first match of the JLT Community Series on Saturday confirmed that status: they beat the West Coast Eagles 70-37. 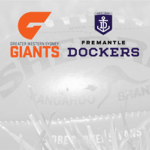 The Giants’ next JLT match is against 2016 AFL Premiership runners-up the Sydney Swans, on March 03. The Western Bulldogs are the defending Premiership champions, but they got their JLT challenge off to a bad start with an 86-92 loss to the Melbourne Demons. There are three more weeks left in the pre-season, however, so the Dogs still have time to catch up.